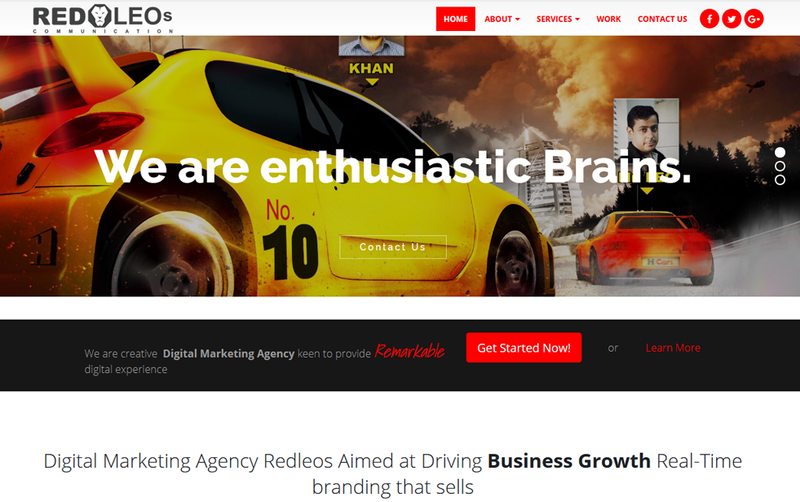 RedLeos offers services of digital marketing agency services in Lahore Pakistan. We are in the market since 2006, normally works in Web Design & in Web Development sections. We have a team of 15 people in which some of them are graphics designer and developers of different frame works. We are also working in custom Wordpress & core php for our clients. We have completed almost 123+ projects till now of different nature including Game design and developments for our Pakistan and international clients. We are also working in Video editing and production and animation design & development for our clients. To be safe, transact with people face to face. Don't send your financial information or wire money in advance. CitySearch.pk holds no liability, including financial responsibility for damages incurred when transacting online. Report any scam here.